So here’s the problem. You like the look of those trail / adventure bikes that seem to be ridden by everyone yet you don’t want the cost, complexity and sheer weight of the offerings from BMW, Triumph etc. 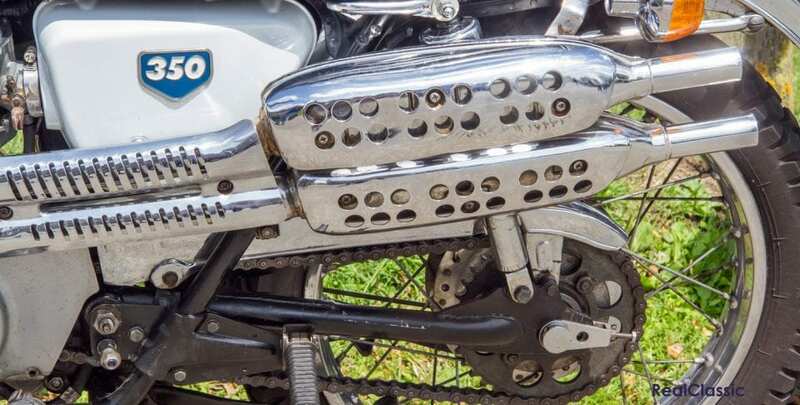 The classic British desert sleds and street scramblers are also very attractive – the Norton P11 and the Triumph Trophy amongst others – but taking out a second mortgage to pay for one isn’t an option. Besides, you don’t want to spend hours maintaining them, you want to ride on sunny Sundays. Never fear – as always, Honda has the solution. 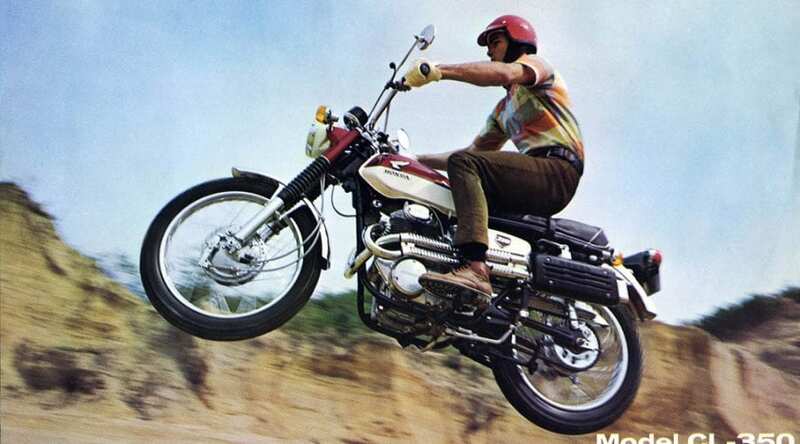 In 1969 Honda launched its CL350 Street Scrambler, although it’s more street than scrambler and the 64mm x 50.5mm bore and stroke meant the capacity was 325cc and not quite 350… but that is missing the point. This was a true dual purpose machine. It’s dual purposes were (1) having fun riding and (2), not to beat about the bush, looking cool – without having to compete in the ISDT or take part in the Baja 1000. 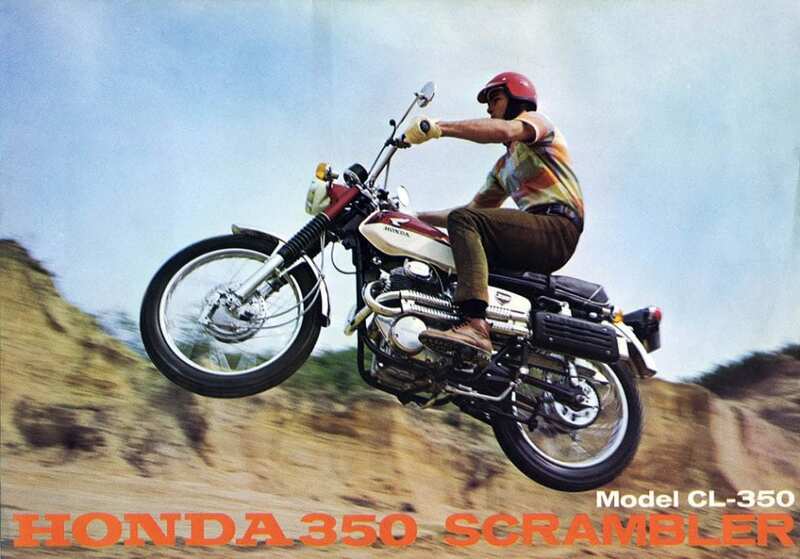 What’s more you had the benefit of Honda reliability. No need to spend the weekend in the garage whirling spanners when you could be out there enjoying the sunshine, as the owner of this 1968 example was doing on the Bill Lacey Run this summer. 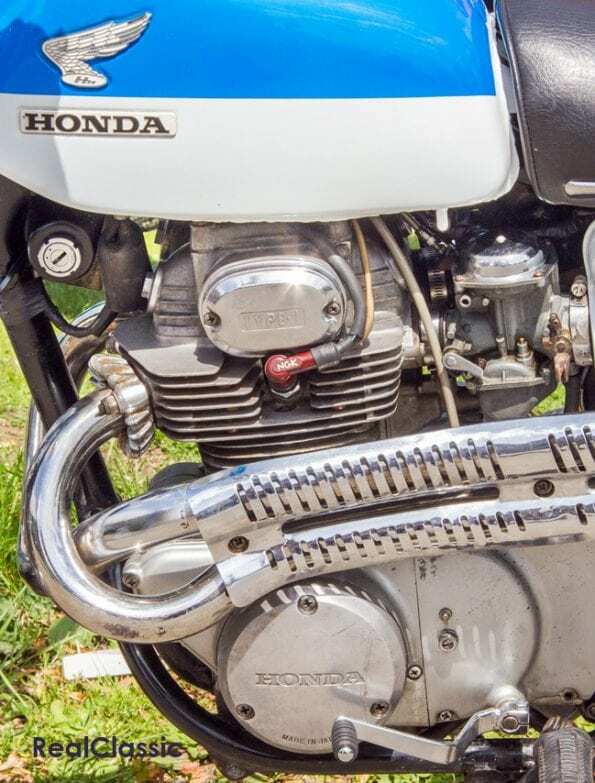 The four-stoke air-cooled ohc twin is mated to a close-ratio, five-speed, constant-mesh gearbox which fed power through an eight-plate wet clutch. 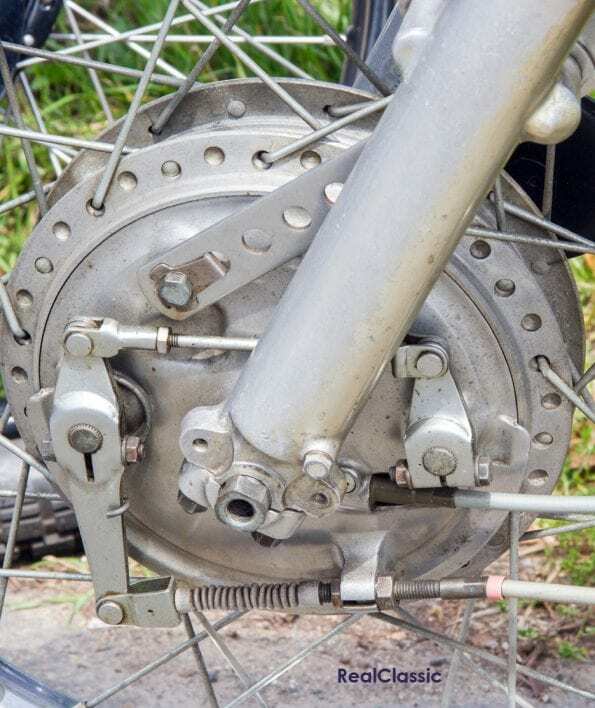 While the 180-degree crank is famously robust, the top end arrangement is infamously less so, where the overhead cam surfaces can suffer. 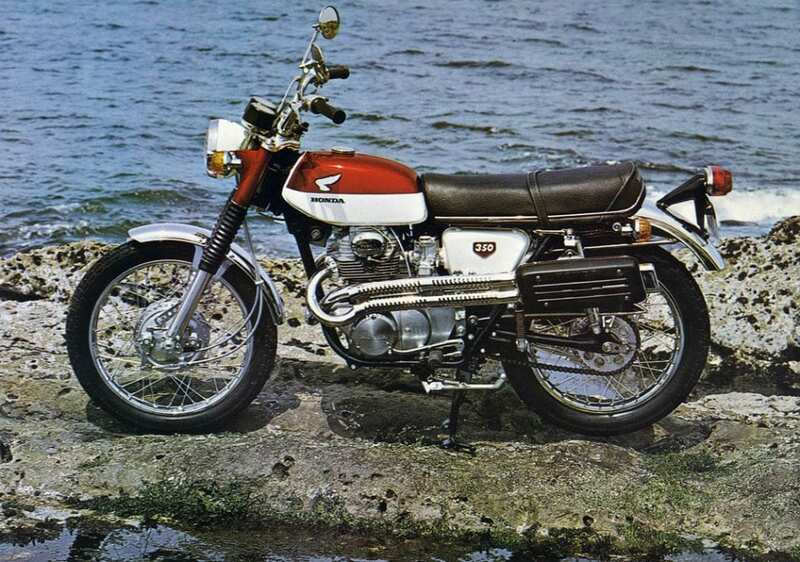 Owners are always advised to refresh the oil regularly on CL and CB models from this era. 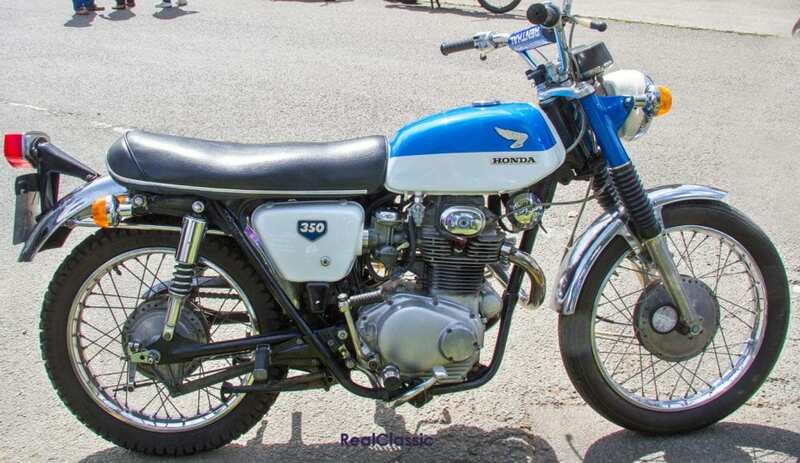 There should still be plenty of them around, as Honda built more than 600,000 of these 350s before they went out of production in 1973. In the UK, the CB roadster is by far the most common but CLs (and the more off-road inclined SLs) have been imported from the States of late. The aluminium-alloy motor sits inside a lightweight frame with a backbone and rear shock mounts formed from pressed steel, but with a round tube forming the cradle. The front wheel is 19” with a 2ls drum brake of just under 8”, whilst the 18” rear wheel has a 7” sls drum. Long travel telescopic forks at the front, high handlebars and dual, nitrogen-filled gas shocks at the rear complete the chassis package. 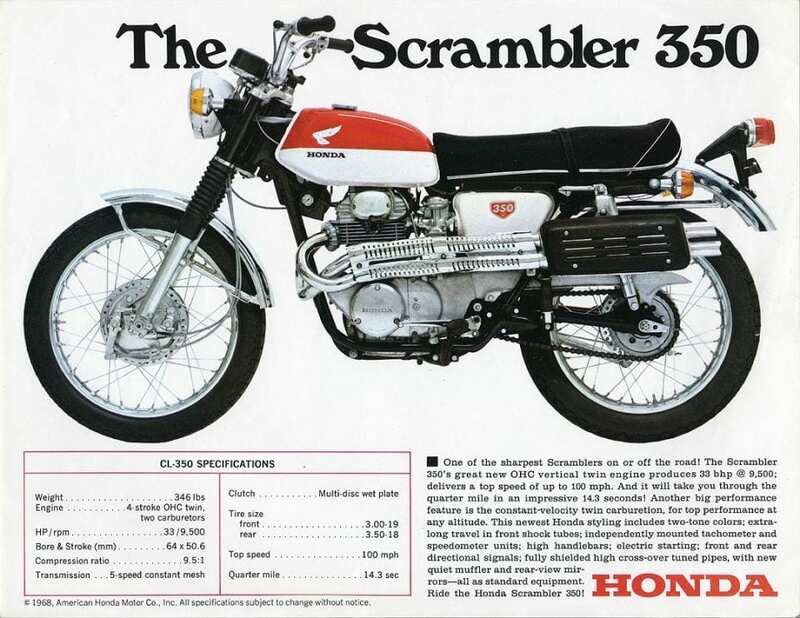 The CL used two constant velocity carbs, ‘for top performance at any altitude’ and was equipped with an electric start to complement the kick option. With a compression ratio of 9.3:1, an output of 33bhp at 9500rpm and weighing in at 346lb, the CL could cover the standing quarter mile in 14.3 seconds and claimed a top speed of 100mph. 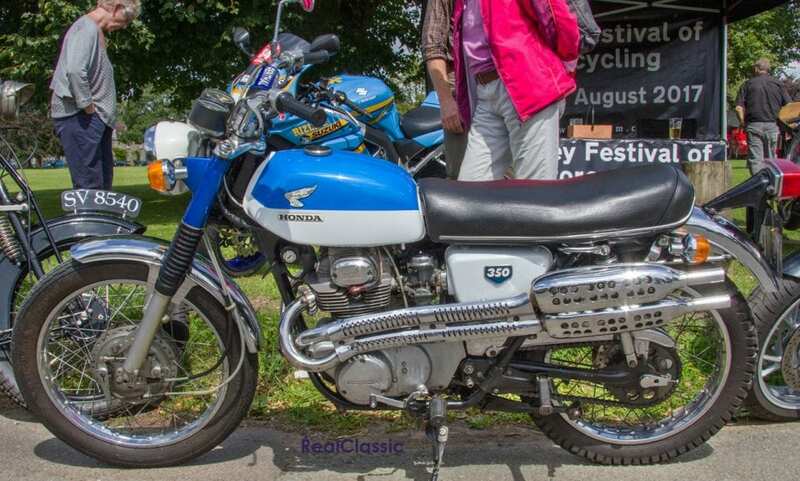 They also reckoned the CL was ‘one of the sharpest scramblers, on or off the road.’ Look at those high-rise pipes and that artfully sculpted candy blue and white tank, imagine riding that through the lanes on the aforementioned sunny Sunday. All right, so the tank, which also came in candy red, holds a tad less than two gallons. But, with a not too ambitious throttle hand, a claimed 70mpg was possible (although 50mpg was more the norm). But how far is it to the nearest hostelry anyway?